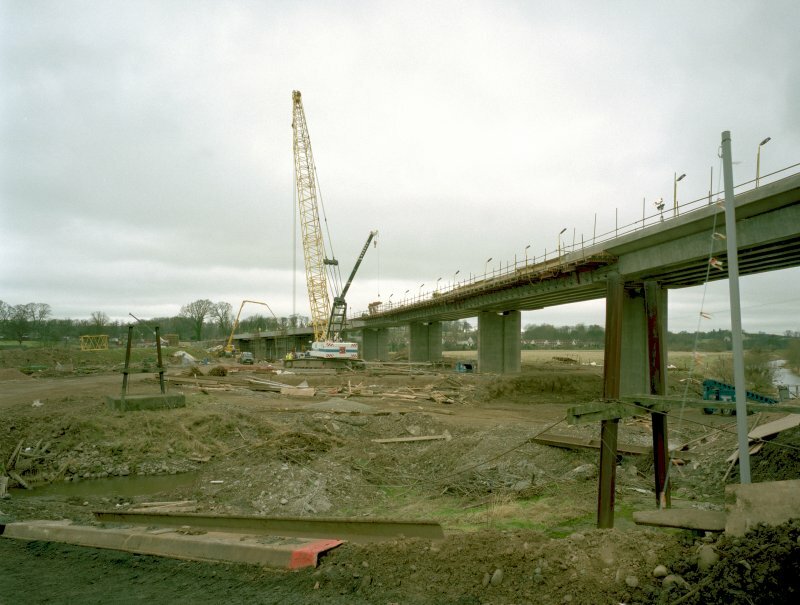 Kelso, Hunter's Bridge General view of Hunter's Bridge under construction, February 1998. The remains of the chain bridge are visible to the extreme left. Kelso, Hunter's Bridge. View of bridge under contruction and remains of Chain Bridge. 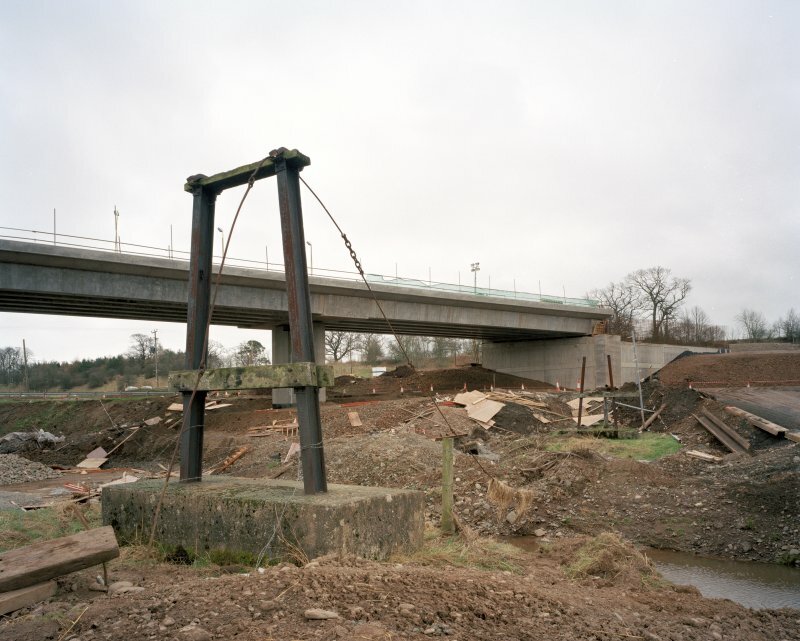 Hunter's Bridge carries the new Kelso by-pass over the River Tweed, crossing on the east side of the town. Built of reinforced concrete, this long road viaduct was completed in the summer of 1998. For Chain Bridge (demolished during by-pass construction), see NT73SW 93. Location formerly entered as NT 73 33. This long re-inforced concrete road viaduct, crosses the River Tweed on the east side of Kelso, and forms part of the Kelso Bypass. 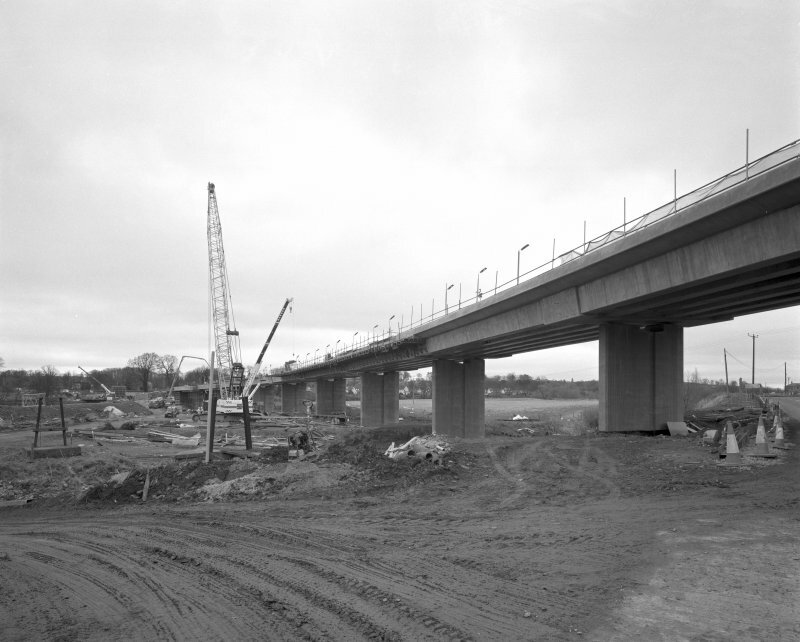 When the bypass is completed and fully opened, expected to be sometime in August 1998, it will re-direct the A698 Hawick to Berwick upon Tweed road away from Kelso town centre. 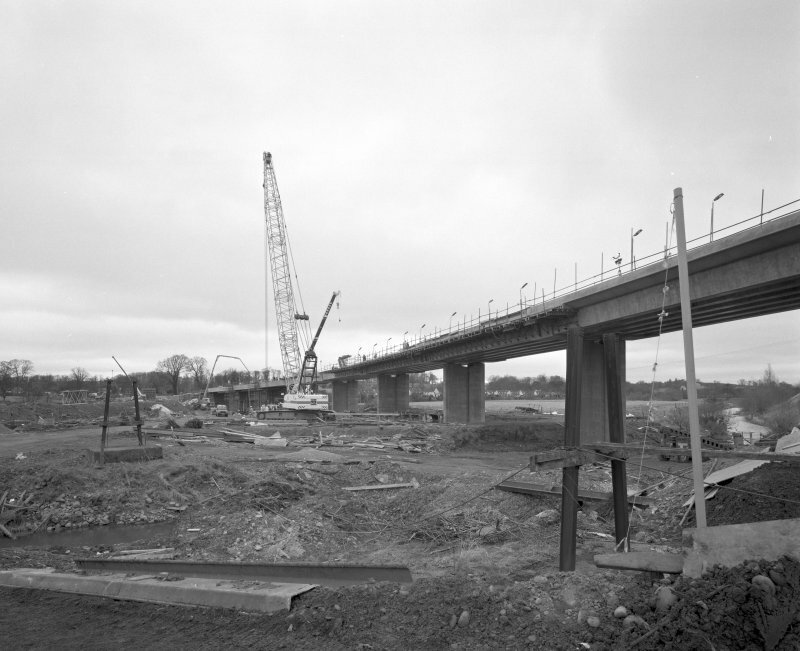 The bridge is expected to be completed and ready for use in June 1998. This photographic survey was conducted in order to augment the National Monuments Record of Scotland holdings. Visited by RCAHMS (MKO), February 1998. This structure carries the A698 (the Kelso by-pass) around the SE side of the town and across the braided channel of the River Tweed. It is not indicated on the 1993 edition of the OS 1:10,000 map, but later map evidence suggests that it extends from NT c. 73388 34115 to NT c. 73557 33816.